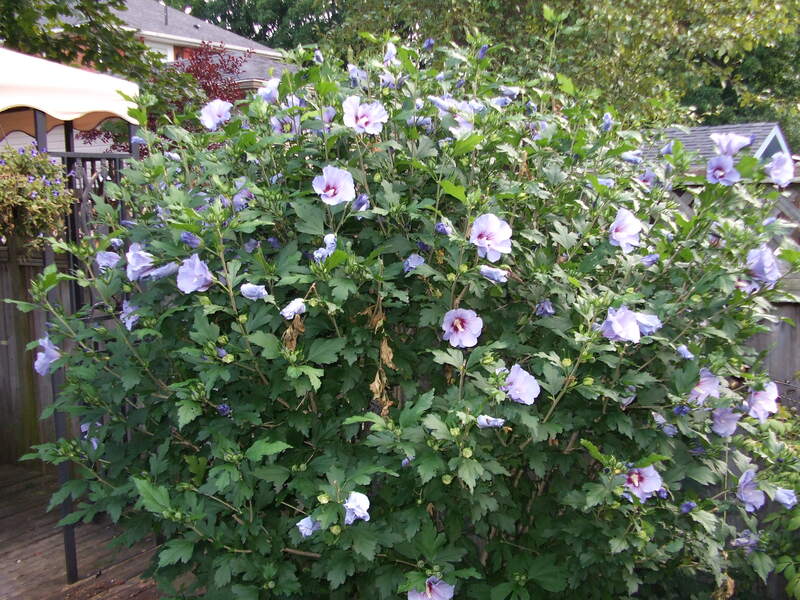 Our Rose of Sharon (Hibiscus sryiacus) in bloom. I trimmed it back so far last year and it is a lot taller than I am yet again! It has a lot of amazing flowers though – and we are keeping the honey bees in business (between this and the Hydrangea and Thistle – yet to be shown). Gay and I had an amazing time at the Benmiller Inn near Goderich, Ontario.